Some people automatically assume that notary publics have the legal capacity to translate documents written or otherwise created in a foreign language. However, this is somewhat of a gray area that varies depending on the type of translation and whether or not a signature on the document requires notarization. So before you head out to the nearest notary public in search of a translation, you should familiarize yourself with the rules regarding notary translations. Let me first start off by saying that rules regarding the notary public profession vary from state to state. Just because one state allows notaries to conduct a certain act or service doesn’t necessarily mean another state will. This is why it’s important for notary publics to learn their respective state’s laws; otherwise, they could lose their commission and/or be subject to fines. So, can a notary public translate documents in a foreign language. The short answer is yes, a notary public is allowed to perform this service. If a client walks into a notary’s office to request a translation, and the notary public is fluent in the language used, the notary may translate the document for the client. With that said, translations aren’t an authorized duty of the notary public profession, meaning there are some rules notaries must follow when performing this service. Even if the notary public is educated in the foreign language used in the document, he or she may not certify translations. This is due to the fact that translations are not an authority duty. However, the notary is allowed to notarize the signature of a translator who attests to the accuracy of the translation. 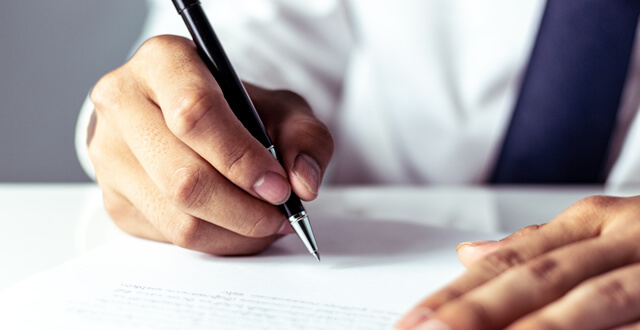 Here’s a common scenario that often appears: a client asks a notary public to translate a document and then notarize a signature on it. In most states, however, notaries are prohibited from notarizing signatures on documents they have translated. If a notary public translates a foreign document, the document must be taken to another notary to have it notarized. Also, a notary public may notarize a foreign document even if he or she is not fluent in the language used. The notary must be able to verbally communicate with the signer or interpreter to ensure the signer signs the document in his or her own free will. The notarization and attached certificate should be completed in English, however. To recap, notary publics in the United States are allowed to translate documents for clients, although not in an official capacity. And if the notary chooses to translate a document, he or she may not notarize any signatures on the document. The document must be notarized by a notary who didn’t translate it. Hopefully, this will give you a better understanding of what’s acceptable regarding the translation and notarization of foreign documents and what’s not.